Meet the Zenit-C, this is one of the first SLR's ever made. This first prototypes of this camera appeared around 1951 with production of the Zenit starting in 1953. 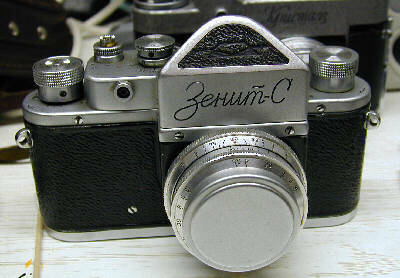 Zenit C production started in 1955. The C stands for S which is Synchronized for flash. In comparison to later SLR's it is a small camera. In fact it is not bigger than the Zorki C, which is a Zorki 1 with flash sync. The engineers at KMZ added a reflexcage to the rangefinder turning it into an SLR. In fact this happened once before. Back in 1937 a Russian company called VOOMP-GOI created the FS-2. 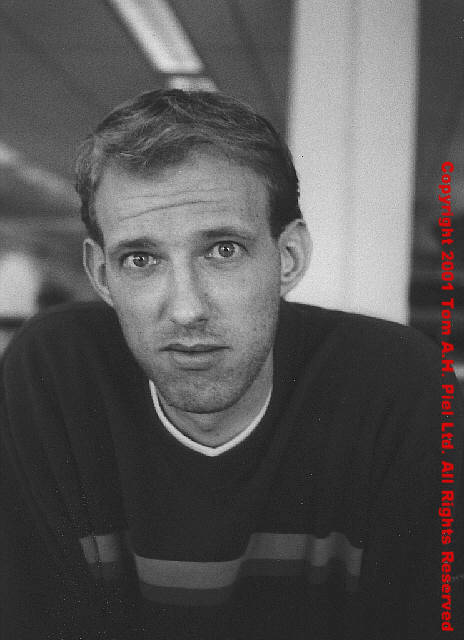 Which was a rangefinder with an external reflexcage. KMZ engineers went a step further. They intergrated the reflexcage with the camera and created Zenit. Like its rangefinder brother the Zorki C it is a bottomloader. It even has a 39 mm mount. So we can use any L39 lens. No we can't. Due to the fact that the reflexcage takes up more room in the camera we have a problem. Our normal LTM 39 mm lenses will mount but you can't focus with them. KMZ called their mount ZM39 instead of LTM39. Zenit Mount 39 mm instead of Leica Thread Mount 39 mm. But there is one small advantage, you can actually use your LTM lenses as macrolenses. But the downside is that you need to buy a whole new lensrange. I allways wanted a Zenit or a Zenit-C. Just because it was the predecessor to the 3 and 3M and the infamous E. But when I got one I was suprised. It was way smaller than the other cameras. The feel was nice. It had straplugs, the nice leather everready case with the delightfull leather smell. It looked very good. So I loaded it up with 100 iso film, black and white Illford Delta. In the 50's when this camera came out black and white was still used widely so I thought that I should use it too. The shots in itself were a suprise. I don't have much experience with black and white but since I'm allways willing to learn I tried some things out. 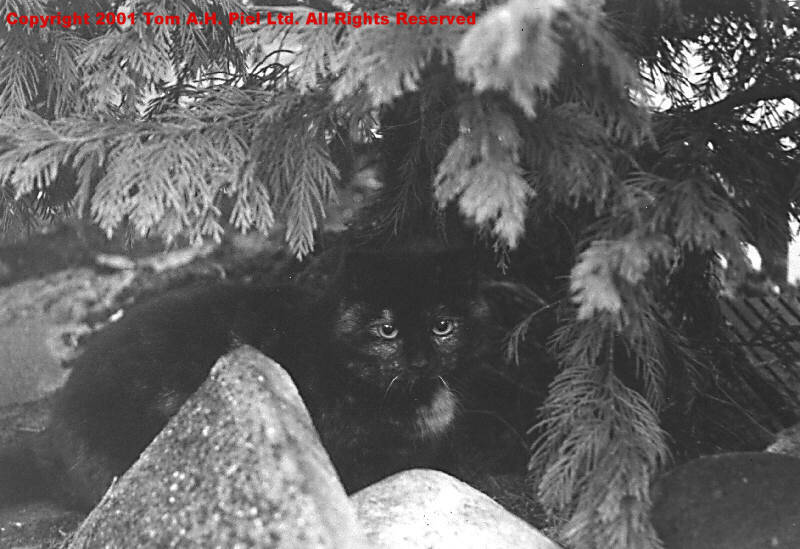 Shot one, cat under tree, taken with the Industar 50, the standard lens for the Zenit and Zenit-c. Just a 3.5/50 mm lens but nice. 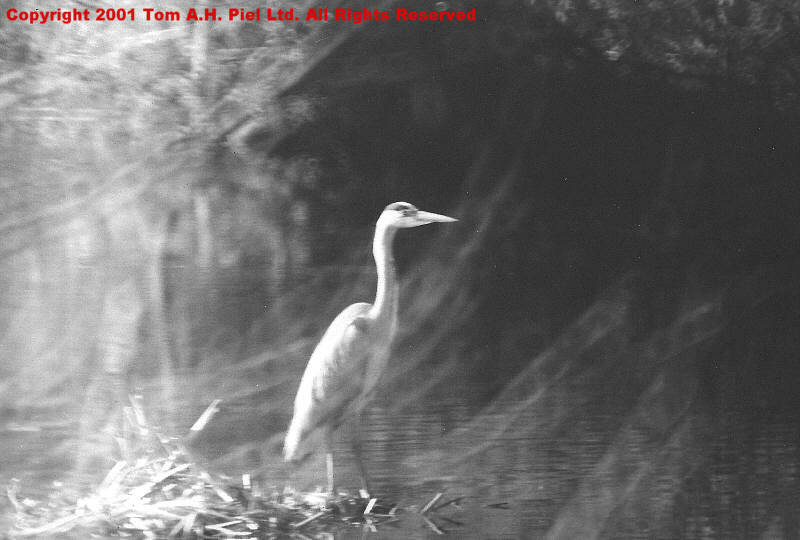 Shot two, a "Reiger", taken with a MTO 500/8 lens, handheld so it is not the sharpest it could be. Also it wasn't taken at top speed but at 1/125. Though the MTO is a fantastic lens you cant really use it for handheld shots. Shot three, one of my coworkers, no flash used, Industar 50 showing that it is capable of taking good shots. Nice and contrasty. 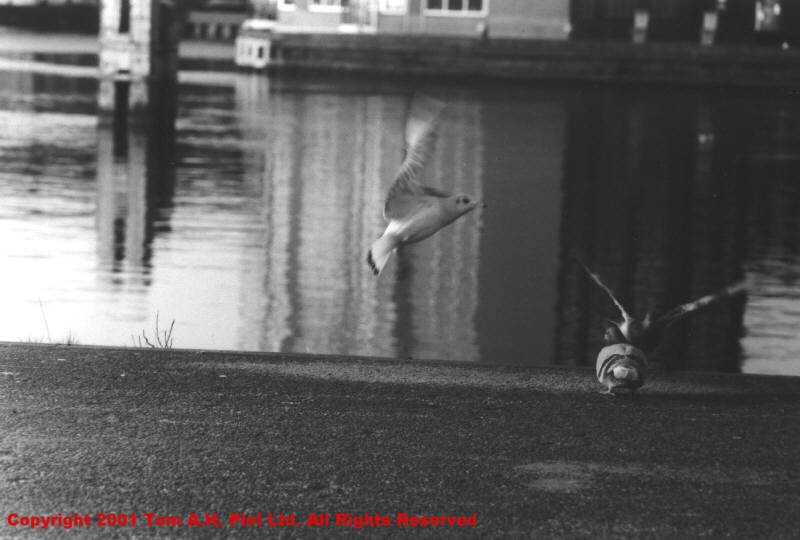 Shot four, seagulls at the dock, taken with a Jupiter 11 135/4 mm, which is an absolutly great lens to use. Shot made at 1/250 at an aperture of 8. 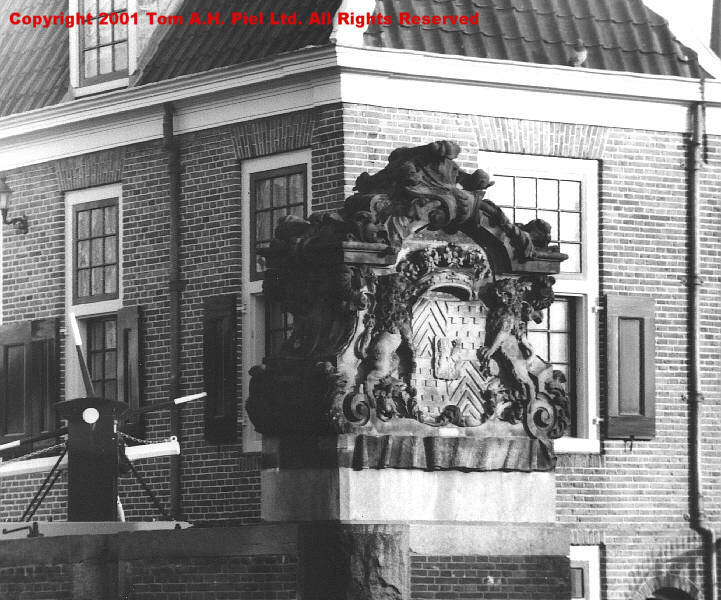 Shot five, the old customshouse at the Zaandam locks, taken with the Jupiter 11.